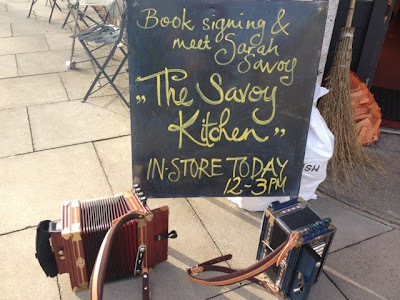 October last year saw me heading along to Hammerton Store in Aberdeen for a Book Signing, Cajun Cook In, Meet & Greet and Cajun Music with Sarah Savoy to mark the launch of her book, The Savoy Kitchen. The sun shone and bemused Aberdeen shoppers almost cracked a smile when greeted with an impromptu busking session in the street. It was a delight to meet Sarah and see her cooking up a Chicken & Sausage Gumbo in store on her very first visit to Scotland. 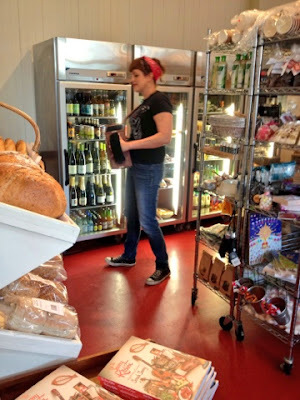 She's been cooking since the age of 3 and has an absolute passion for sharing her love of authentic Cajan food and music. 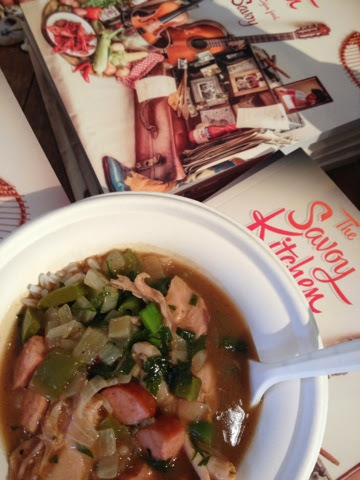 Eating authentic Gumbo and drinking beer in the sunshine sure beats a soggy Cajun chicken sandwich. 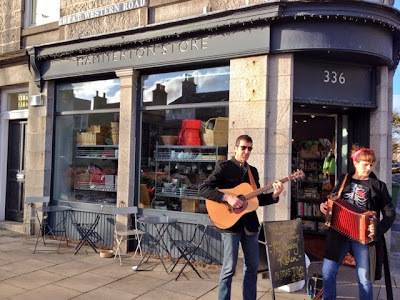 A fab wee film clip made during Sarah's visit to Scotland gives a real flavour of what the book is about https://www.youtube.com/watch?v=W6q3yuAEcV4 Meet the holy trinity of Cajun seasoning - salt, pepper and cayenne. Don't mess with Sarah's Gumbo. Inspired and armed with first hand knowledge I was ready to make my first ever roux and subsequent gumbo. Sarah had warned me it would take a lot of time and a lot of patience and it would stink. The basic premis is that you cook up flour and vegetable oil for a very long time, stirring constantly until it turns a very dark brown in colour. That's your roux. Its certainly a labour of love. 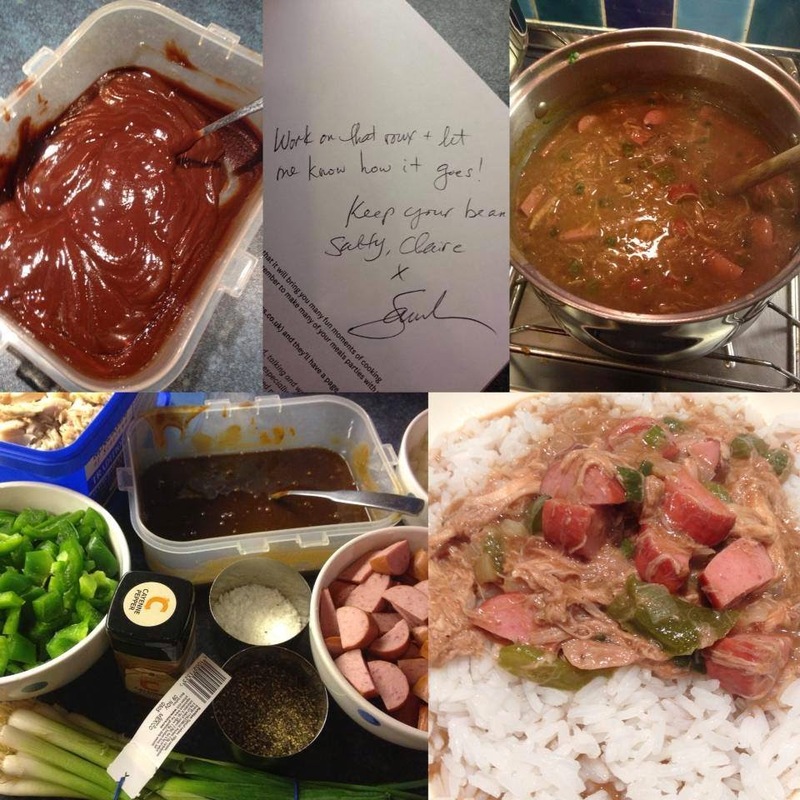 The flavour of my Gumbo was amazing but I reckon I overcooked my chicken as it pretty much turned to mush. 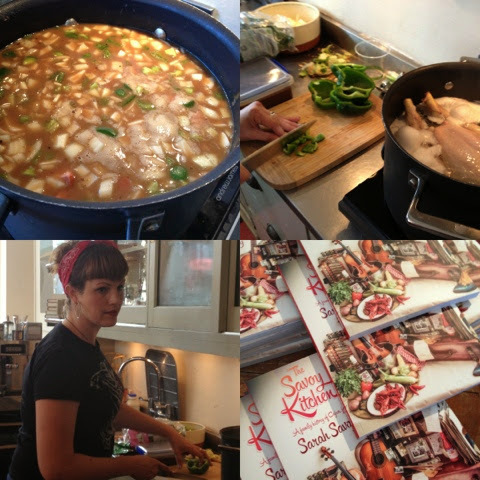 After 7 years of steadily building a very strong reputation for her cooking through restaurant events, catering, cooking demonstrations, international TV appearances, radio interviews, and The Savoy Kitchen cookbook, Sarah is now aiming to take her passion fro Cajun Food to the next level. Its a big ask but she's looking for crowdfunding support of €60,000 to establish the Savoy Fare Cajun Food Truck. Its an ambitions project but Sarah is more than persistent and passionate enough to make it happen. 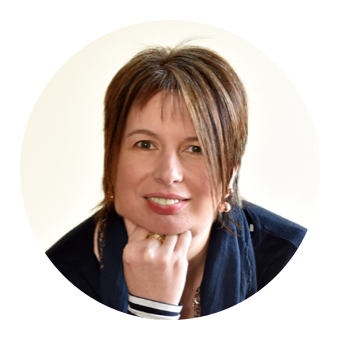 She's lined up a fantastic range of rewards for potential investors. Everything from hot sauce and beer coozies up to Cajun cooking lessons or a full scale Cajun party with food and music for 150 people. Take a look at her quirky video below and have a read of the project proposal. I really hope someone see's the potential. Any dragons or business angels out there?